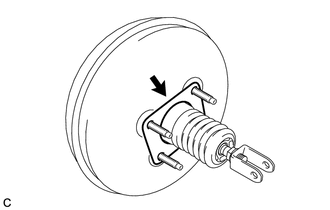 (a) Install a new check valve grommet to the brake booster assembly. (a) Install the brake vacuum check valve assembly to the brake booster assembly. (a) Temporarily install the lock nut and brake master cylinder push rod clevis to the brake booster assembly. 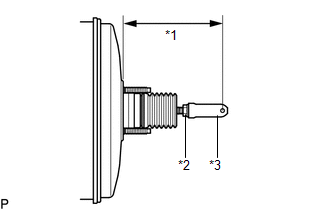 (b) Set the push rod length as shown in the illustration. (c) Tighten the lock nut. 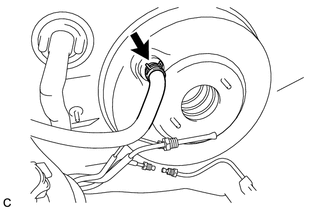 (a) Install a new brake booster gasket to the brake booster assembly. (a) Install the brake booster assembly to the body with the 4 nuts. 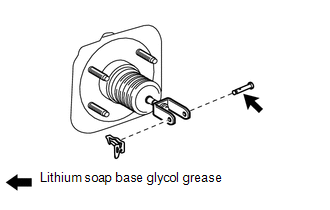 (a) Apply lithium soap base glycol grease to the push rod pin. 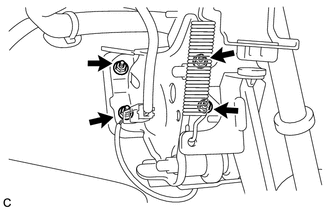 (b) Connect the brake master cylinder push rod clevis to the brake pedal sub-assembly, and install the push rod pin and a new clip as shown in the illustration. (a) Install the No. 1 vacuum hose connector with the 2 nuts. (b) Connect the vacuum hose to the brake booster assembly, and slide the clip to secure the vacuum hose. 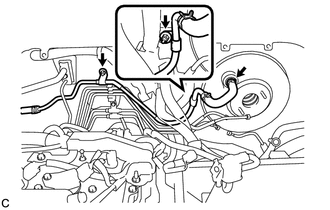 (a) Connect the vacuum hose to the brake booster assembly, and slide the clip to secure the vacuum hose.